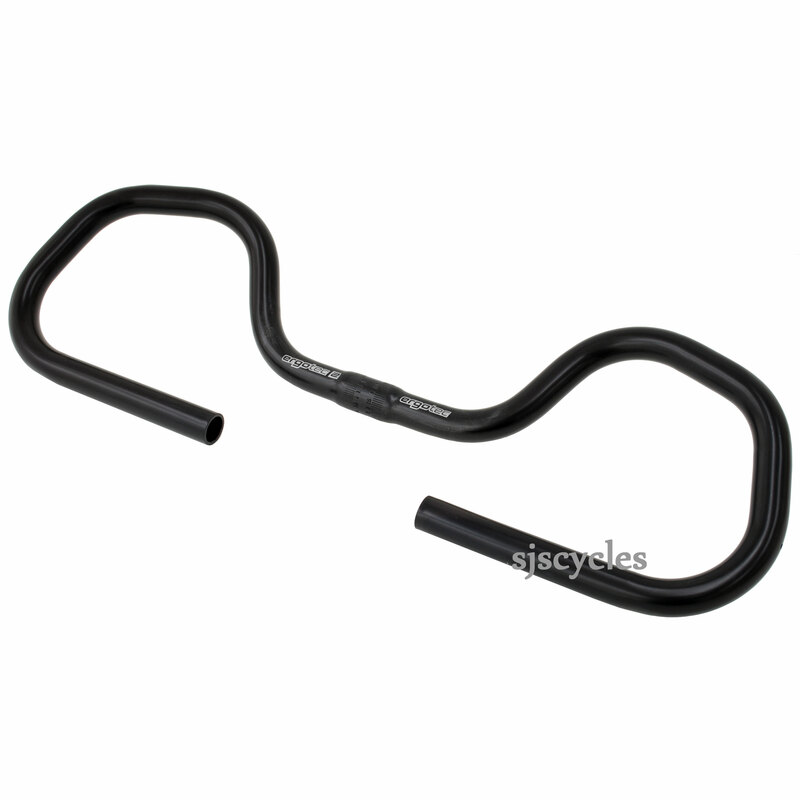 Well made great quality handlebars. Thicker diameter tubing so not as light as they could be, but solid enough. The narrow width of these bars puts the brake levers close together, but a small price to pay. I'm glad they make butterfly bars in that width as that's my preference. I was after a set of bars that provide a variety of hand positions to replace the drop bars on my cross bike. These are perfect for that, comfortable with plenty of options to move your hands around on longer rides. They are a little narrower than some butterfly bars, which I think suits a cyclocross bike really well. They don't seem to flex too much either. Recommended. Hi folks, what's the reach (centre to centre) from front to back of these bars? The C-C reach is 160mm. Hi, these have a stem clamp diameter of 25.4mm & taper to 22.2mm for the controls, brakes, shifters etc. You will need to check your existing bars & stem to check the clamp diameter as it could be 25.4mm or 31.8mm.